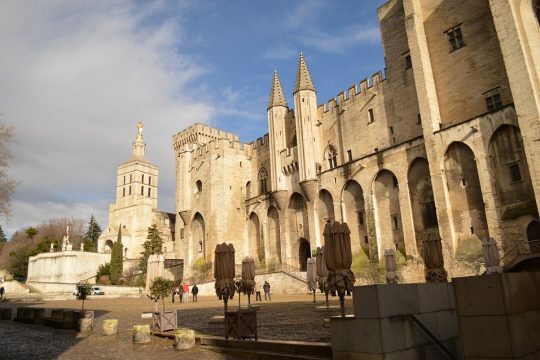 In the 14th Century Avignon bacame the city of the popes and the capital of Christendom. Its location on the River Rhône, the most powerful river in France, made this city a place of choice for the popes looking for a temporary shelter in the beginning of the 14th C.
You will tour the very famous Popes’ Palace they built from 1334 and where they lived, turning this small and modest town into the prestigious center of the world at the time. 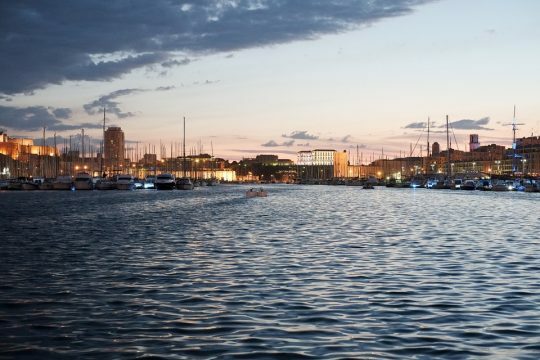 You'll discover the beautiful architecture of the largest gothic building in the world and learn about the everyday life of the nine popes who lived there in splendor and luxury. 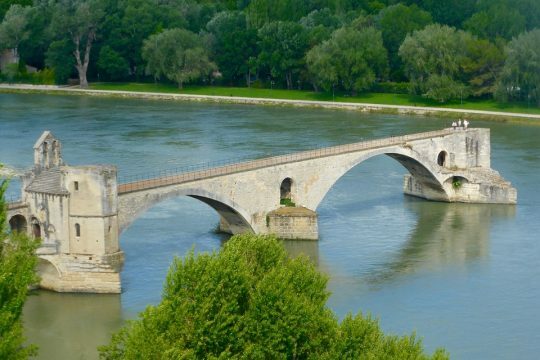 - The “Pont d’Avignon” bridge from the 12th century famous for the song that all the children learn in school. 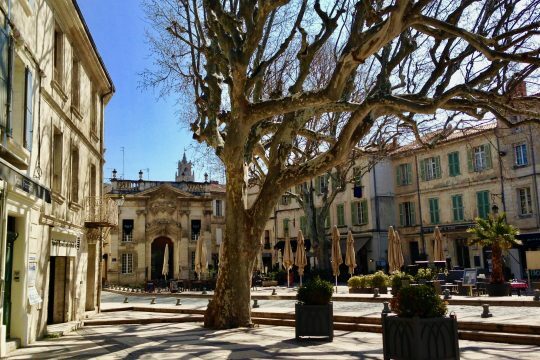 - The main square called “clock square” and its elegant town hall and stage theatre which is one of the main places with the courtyard of honor of the Popes' palace where the official festival of theatre is held every year in July in Avignon. Time permitting, we will discover more of the city and walk through beautiful shopping streets lined with exclusive shops such as the street Joseph Vernet and we will reach the classy Place Crillon. 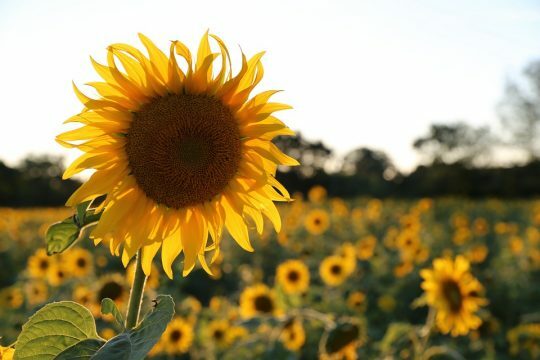 If this is of interest, we could stop at a very interesting lavender shop where you can find the essential oil of fine lavender and many other products made from this exceptional flower of Provence, an interesting stop if you like that fragrance and medicinal plants. 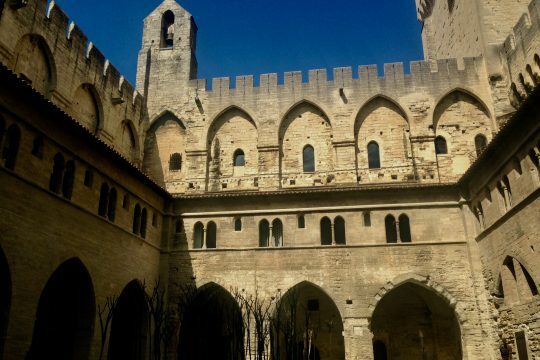 The Jewish heritage is also very important in and around Avignon, as the popes welcomed the Jews when they were banished from the French kingdom and most of the European countries. It is possible to visit the synagogue in the former Jewish quarter if you are interested. 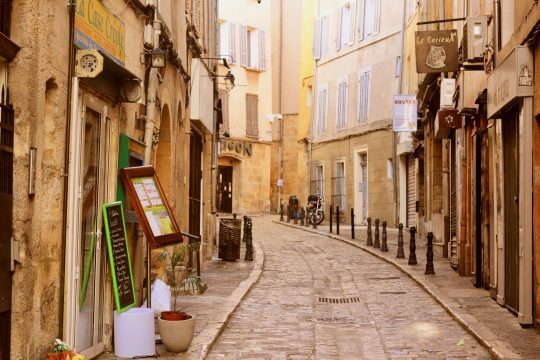 You can extend this walking tour and go to Châteauneuf-du-Pape to taste fine wines from the Rhône Valley or to the Pont du Gard for example with your guide that will take you in her comfortable A/C van. Just ask!